A San Jose man was arrested Friday on suspicion of stabbing one man to death and trying to kill another in his hometown, police said Saturday. Alan Gaeta, 40, was arrested after police responded at 6:47 p.m. to a report of a disturbance in the 4200 block of Senter Road. Later someone called police to allege that the disturbance was a stabbing. Police said that officers who went to the scene found a man suffering from at least one stab wound and that the suspect had left the area. Police said that while officers were investigating the alleged stabbing they found similarities between it and an alleged attempted stabbing at Hellyer Avenue and Palisade Drive about five minutes earlier. In the second alleged offense, the victim escaped unhurt. 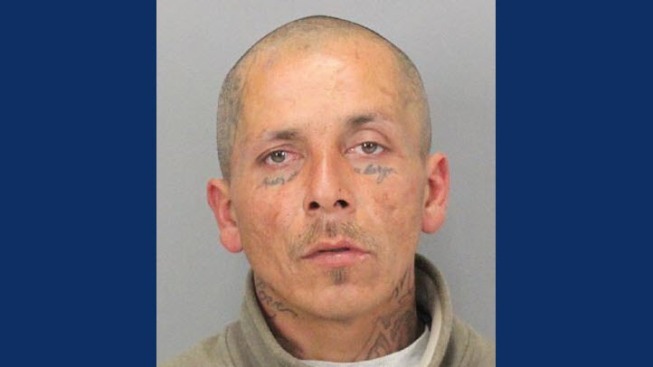 Police said they broadcast to other law enforcement agencies the description of the stabbing suspect's vehicle and a Santa Clara County sheriff's deputy spotted the vehicle on Bentoak Lane in San Jose. Deputies stopped the vehicle and detained Gaeta until police arrived and arrested him without any trouble. Gaeta was taken to the county jail. The name of the victim who died won't be released until the medical examiner identifies him and his family is told. Anyone with information about the alleged offenses is asked to get in touch with Detective Sgt. Mike Montonye or Detective Jason Tanner at (408) 277-5283. People who want to remain anonymous can call the Crime Stoppers tip line at (408) 947-7867. People providing information leading to the arrest and conviction of a suspect may be eligible for a cash reward from Silicon Valley Crime Stoppers.